During my many visits to display suites I generally meet with real estate agents, architects and developers and am taken through the display suite or sit down for a chat. My visit to The Springfield in Toorak was a bit of a departure from the norm. I was greeted onsite by Architects David and Tisha Lee of K2LD and we walked around the verdant 2,400 sqm site which they are developing in partnership with The Chapter Group into 19 residences set amongst a green landscape. I first met David Lee a couple of years ago to discuss another joint K2LD and Chapter Group project - Collection XI - a project David says was a "learning experience" which the team "took many lessons from" when it came to conceiving The Springfield. The conversation about The Springfield site begins with the garden. David and Tish spoke about how upon a visit to the site they knew immediately that it was the right site for their next development and had already conceived an idea in their mind as to how it would manifest - maximise northern exposure to natural sunlight in living areas, utilise its quiet garden setting which has informed the architectural approach and also draws inspiration from Frank Lloyd Wright's Falling Water - a building that completely immersed itself in the natural landscape. The good building is not one that hurts the landscape but one which makes the landscape more beautiful than it was before the building was built. Likewise, The Springfield according to the Lee's "will not appear to stand on solid ground, but rather merge with the treetops." A respect for the natural surrounds and a desire to celebrate living, entwined with the pursuit of excellent craftsmanship. These are the ingredients that make for the highest quality of living. For David and Tisha, The Springfield provided another opportunity to deliver a project not only as developers but also as the architects, enabling a greater balance between negotiating design imperatives with commercial imperatives, resulting in a better outcome and less compromise. Taking on the dual roles also allowed David and Tisha to involve themselves in the sales aspect, dedicating time in their schedules to meet with prospective purchasers at the display suite (by appointment only) to address their practical concerns such as one instance involving an oven tray and whether it would fit in both the oven and the sink. 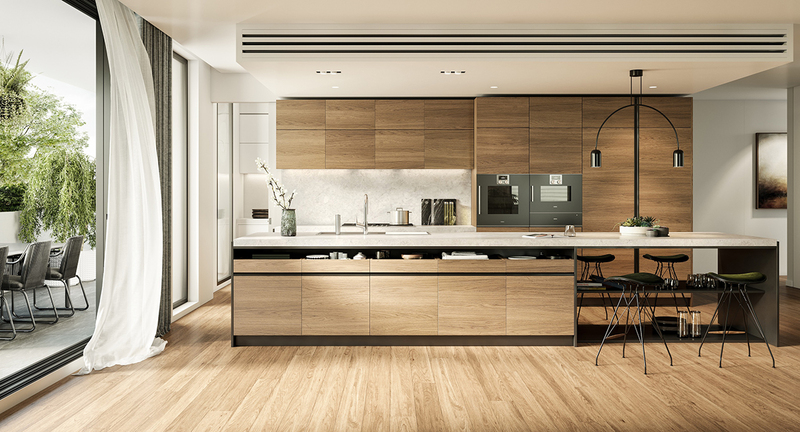 They were also able to take the display suite fit-out a step further by building a fully working kitchen and powder room for visitors to the site with the same specified Molteni & C Dada’s VVD kitchen that will be installed in the finished product. Tisha's annual travels to Milan for Design Week informed and inspired the specification of the Vincent Van Duysen honey-coloured timber, 5m long marble bench top and Gaggeneau ovens and appliances. Molteni Dada premiered their VVD kitchen at the 2016 Milan Furniture Fair and "The Springfield is the first development in the world to have specified these kitchens outside of Italy," says Tisha. The ability to specify finishes, materials and appliances is a luxury they would not have otherwise had, had David and Tisha not been involved as developers. 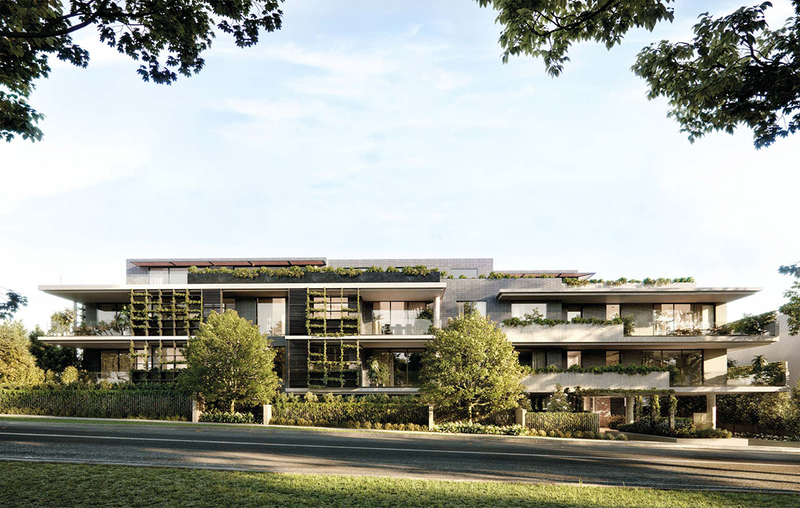 While The Springfield is aimed at downsizers within Toorak and surrounds, when designing the residences David and Tisha were designing for themselves and their family and friends - would they be satisfied as prospective purchasers? Would The Springfield be a development they would recommend to family and friends? Asking certain questions of themselves led to greater degree of rigour in the design of the residences and ultimate composition of The Springfield. 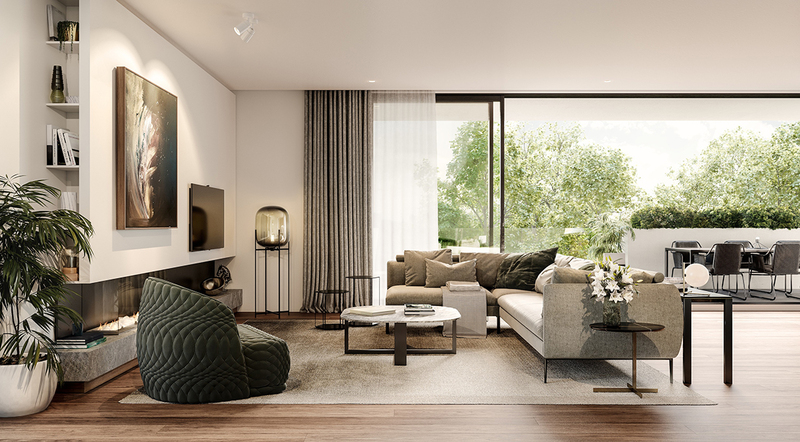 Residences within The Springfield will vary from 160 sqm (two bedrooms) in size to 250 sqm (three bedrooms) with two Penthouses, of 300 sqm and 400 sqm, respectively with one of the penthouses already being snapped up. Despite the early success one downside to being both developer and architect is you also take on further stress. But David and Tisha assure me they wouldn't have it any other way.